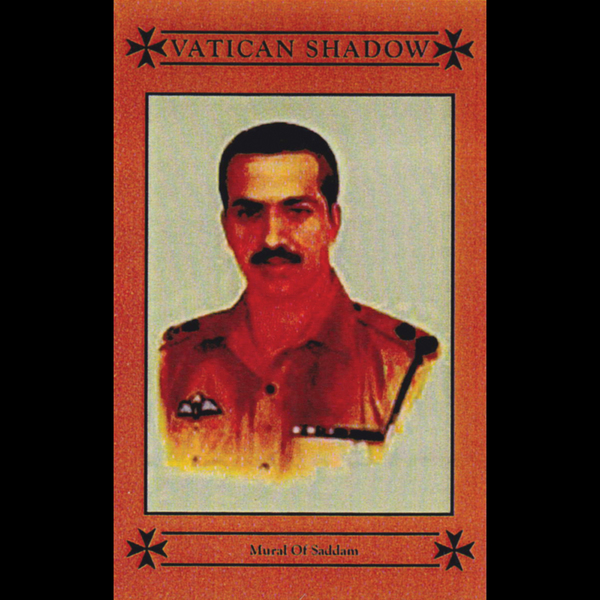 Another absolutely crucial Vatican Shadow (aka prurient) cassette instalment transferred to digital. Dominik Fernow aka Prurient's releases in this guise are rapidly becoming some of our favourite work by this artist, sating a need for a sense of dystopian electronic despair which we just don't get from the more conventional operators in this realm. This one opens with the compressed steppers mechanics of 'Schwarzkopf Arc Of Triumph', sounding like some scuffed and f*cked AFX track circa the Joyrex series but with a subterranean New York torque, while 'Saddam Statue Conspiracy' could be a long lost Muslimgauze gem, all Middle Eastern melodic inferences and hypnotic, looping drum machines. Again, this is just unmissable.